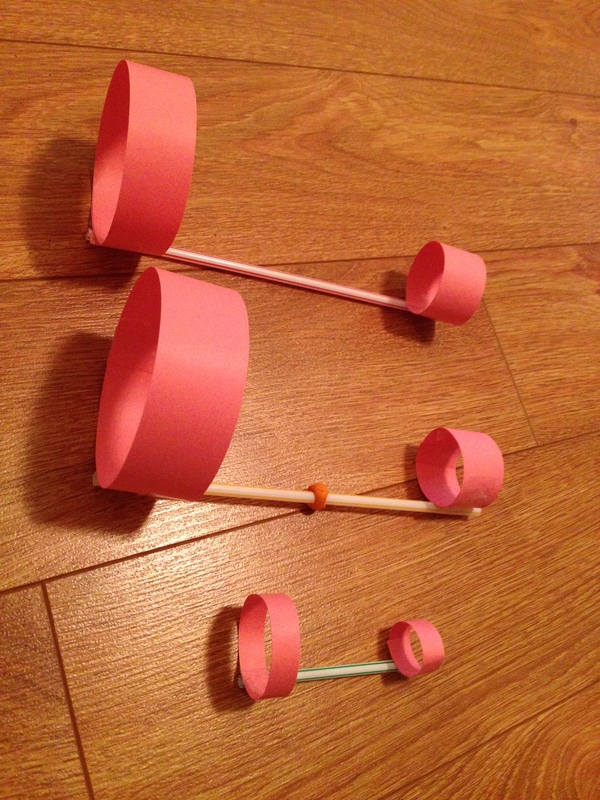 Build a simple flying machine from a straw and cardboard, that spins as it flies. Cut the card into strips, about 1 X 5inches long. Tape one piece into a loop, and another two into a larger loop (by taping them end to end first). Tape the loops onto each end of a straw, lined up with each other. Throw the hoopster like a spear. It will rotate and fly quite well. The forward motion is called thrust and is generated by our arm pushing it forward. The air moving around the loops gives it lift so that it can fly for a while. Air resistance eventually slows it down and gravity brings it to the ground.